Good morning everyone! 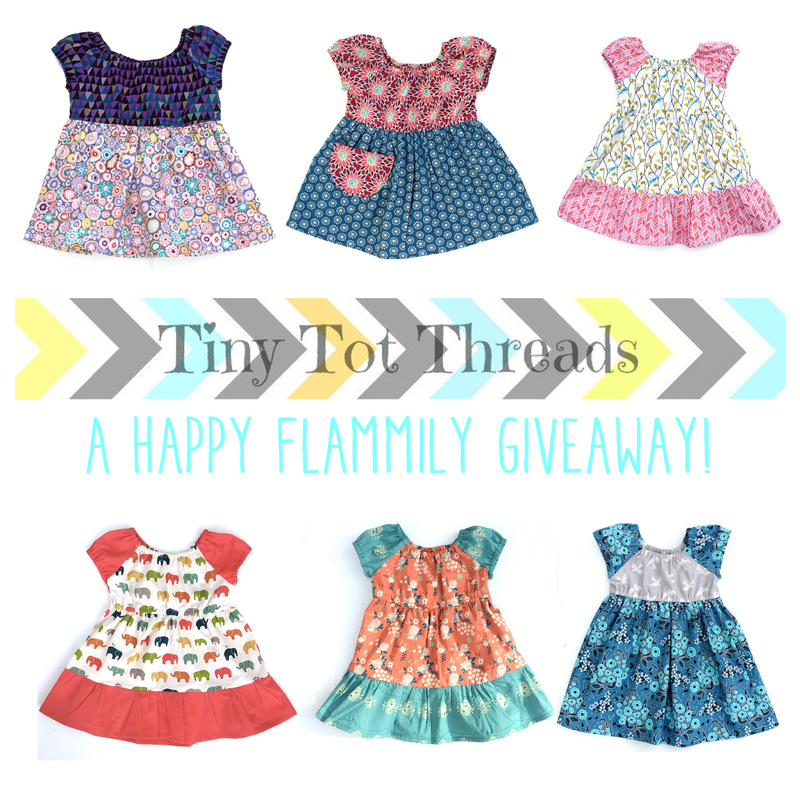 Today I'm super excited to share with you my favorite Etsy shop, Tiny Tot Threads. One of my absolute best friends (and practically sister), Haley opened this shop a few months ago, and I am just completely smitten by all the cute dresses that she has been whipping up and putting in her shop! One thing that I love about Haley is that if she is going to do something, she does it right. That is why all Tiny Tot Thread dresses not only come in the most adorable fabrics ever, but they're also made with pre-washed 100% organic cotton! So you can definitely feel good about putting your little ones in these high quality, and absolutely fabulous dresses. 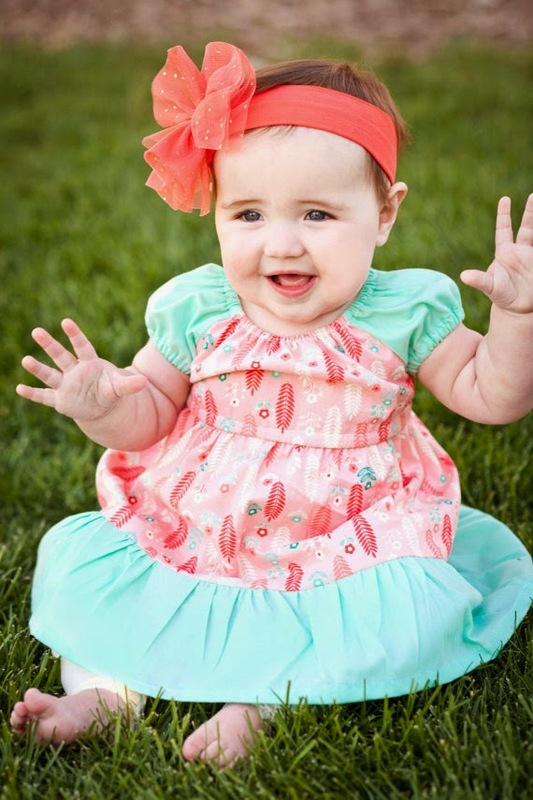 If any of my readers in Utah are interested, you can also check out Tiny Tot Threads at the Provo Farmers Market each Saturday where you can get 5% off your purchase, and no shipping since it's all right there! Most dresses in the shop are customizeable, so if you see a dress you love, but it's not in the right size, shoot Haley a message through Etsy, and she can work out the details with you! Because Haley is the nicest person ever, one lucky reader is going to be able to get their hands on a dress of their choice, free of charge! Dresses can be customized to size, up to 24mo, and are made with elastic in the neck, waist, and sleeve, to grow with your baby girl! All readers of The Happy Flammily will also be able to use promo code, "SHIPTOMEFREE", for free shipping! Giveaway will run from now until July 2, 2014 at 11:59 ET. Use the Rafflecopter below to enter the giveaway. More entry options will appear after you complete the first step. All entries will be verified. Winner will be notified via e-mail. I love the dress with the pocket. This store is so darling. Couldn't help spending way to much time looking at her dresses. Guess who's not going to be able to resist going to the farmers market? The dresses are so cute! I think even if I don't win I'll be purchasing them for my little girls!